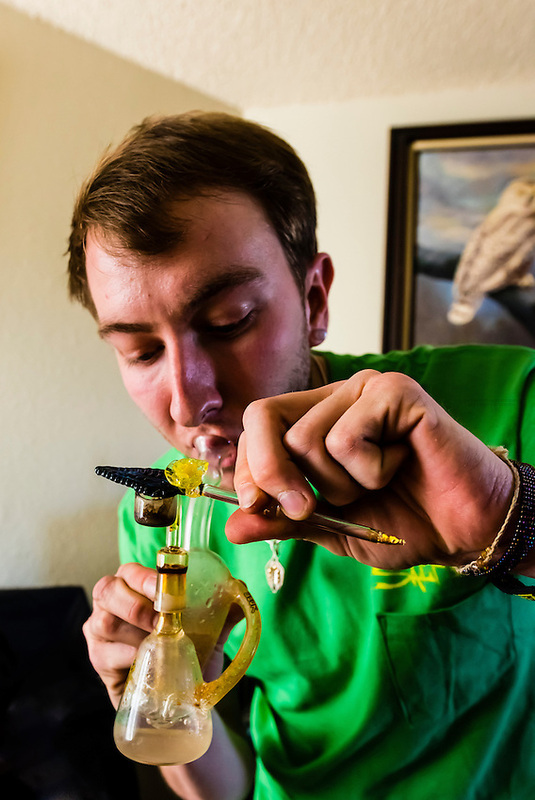 Dabbing live resin (Dabs are concentrated doses of cannabis that are made by extracting THC and other cannabinoids using a solvent like butane or carbon dioxide, resulting in sticky oils also commonly referred to as wax, shatter, budder, and butane hash oil (BHO). Live resin uses fresh, frozen whole cannabis flowers as opposed to buds that have been dried and cured. Aurora, Colorado USA.